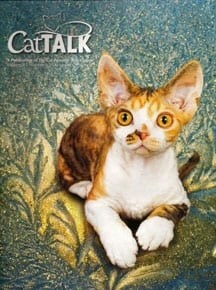 Jackson Galaxy’s ‘Cat Daddy’ tells how he went from a life of addiction to one full of cat mojo. 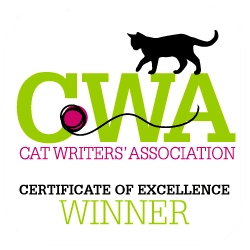 happy, health cats, he offers an inside look as how his addictive life led him to tune into his ‘cat mojo’ and his ability to develop a special connection with all felines. 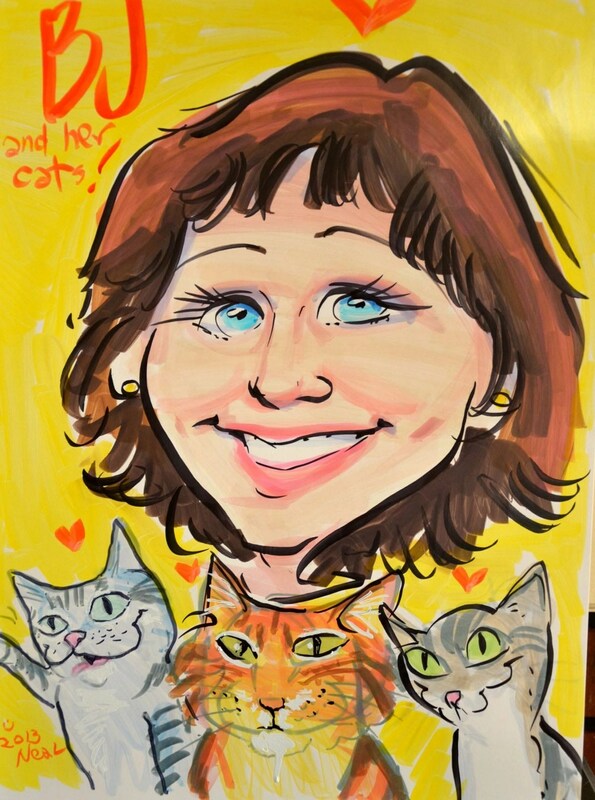 Paws’ mum had met Jackson a few years ago at the Cat Writer’s Association’s Annual Conference in Los Angeles, CA. He gave a riveting talk on how cats had helped him turn his life away from drug and alcohol addition. Then featured on Animal Planet’s ‘Cat From Hell’, he described his special connection with the feline species. It was at that time that she received her autographed copy of his book. It was this summer that she found the time to read it. While riveting that presentation didn’t prepare me for the eye-opening descriptions of addiction and coming clean that were presented in ‘Cat Daddy’. I heard, but didn’t really connect with his deep affection for his special cat, Benny. In the book, he is extremely poignant and honest in his description of just how dysfunctional his life was at specific times. At one time, while working in the animal shelter in Boulder, CO, he lived in a warehouse, peeing in bottles, and showering when he came in to work. There’s elaborate detail on just how much hold drug and alcohol had over him. That’s almost hard to believe as we watch him on Cat from Hell. Even though he is totally upfront about his past addictions, it’s hard to imagine how much hold it had over him until you read ‘Cat Daddy’. We should mention the other author of the book, Joel Derfner, because if Paws helped on a book, we’d certainly want some credit. There’s no doubt Jackson found purpose in cats, especially Benny, the cat that had a broken pelvis, and been left at the shelter because the owner did not want to invest in making him recover. He had claimed he just didn’t connect with the cat, but Jackson knew better. He took on the task of Benny’s recovery, and Benny would become his nemesis for years to come. No matter what he tried to make Benny shed some unwanted habits, like licking himself bald or stop using the litter box, these habits would return time and time again, leaving Jackson puzzling over what had happened to start the undesirable behavior all over again. It’s Benny’s story that Jackson tells in ‘Cat Daddy’. But it goes beyond that. It goes into how and why this man with a shaved head, and arms full of tattoos, tuned into ‘reading cats’. Call him a psychic, an intuitive, or a cat behaviorist, he can read cats very well. He understands what makes them tick. As he concludes most behavior problems are caused by humans, not by the cats. Jackson could and still can accomplish amazing results. He does not use clicker training. He communicates with the cats. There’s no place that this gift is so striking than his description of the night with a horrendous thunder-storm and rain pelting down on the shelter’s metal roof. There were 45 screaming cats in cages in a 14 by 14 foot room, and he had a presentation to complete by morning. He couldn’t do it with all the noise. He experiments with his newly found ‘I Love You technique’. He’d learned the trick from a friend and had found it had worked when trying it out on one of the 5 cats at home. With eyes open but not staring, he says, I. Then, he slowly closes his eyes, saying, Love. And then he slowly opens his eyes again with a gentle stance and says, you. In so many words, the fight/flight response is replaced by the promise of security in his eyes. It takes a few times, but it works with the first cat. One by one, he went to each cat’s cage and did this. Hours later all 45 are at peace. Perhaps that was the defining moment that made him realize he did have a special connection with cats. Jackson finds early on in shelter work that he is drawn to the cats in a dogcentric culture. There was no out where the cats could release their fears except to hide in the back of their cages. While he had cats in college, he never considered himself a cat guy. Shelter work lead him down a path that helped him learn just how much ‘cat mojo’ he had, and how much he could and would impact the lives of cats. ‘Cat Daddy’ contains a host of information about cats, humans, and their interactions. With incredibly descriptive phrases and a vocabulary that left this writer, even with an MBA, looking up words, this book should be on a must-read list for any cat person and even those non-cat people. There’s no doubt the book is graphic, but that’s what makes it soooo good. Cat mirror the life of the humans around them. Different cats like different petting strokes. Experiment and find out what pressure and what touch the cat likes. Some 15 to 20 years ago, over 12 million cats were euthanized in shelters. We’ve come a long way. Today, the number is about one-third of that at 4 million. Still too many, but far less. Re-introducing cats with the help of food does work. They’ll start associating the disliked other cat with food. Some cats like high places (tree dwellers) and others like being closer to the floor (bush dwellers). Creating a superhighway of shelving, allowing the cat another route away from the aggressor can create a more blissful living space for both cats. Cats are energetically sensitive, and you can bring calm and healing to them by centering yourself with the message ‘I bring your wellness or calm’ while stroking them. People should attune themselves with the instincts and evolutionary behavior that help shape their cats behavior. Understanding this helps humans understand why cats behave the way they do. Nothing your cat does is random. Cats are creatures of habit. They do not like change, no matter how small. Cats identify with the strong scent behind human ears. Taking off your glasses or putting a pencil behind your ear and presenting them to a cat is an ideal way to let the cat stranger get a whiff of you in an unthreatening way. Cats need to hunt and have their own territory even though they are sharing your home. The scaredy cat that runs is fueling the chase, and setting himself up to be a part of the hunting chase. Cats see in mufti-dimensional levels. They see an entire room, the floor, shelves, ceiling. There’s no doubt cats need help. With over 4 million euthanized in shelters each year, every rescue success story should be celebrated. If humans can better understand their feline housemates, perhaps fewer would end up in shelters. 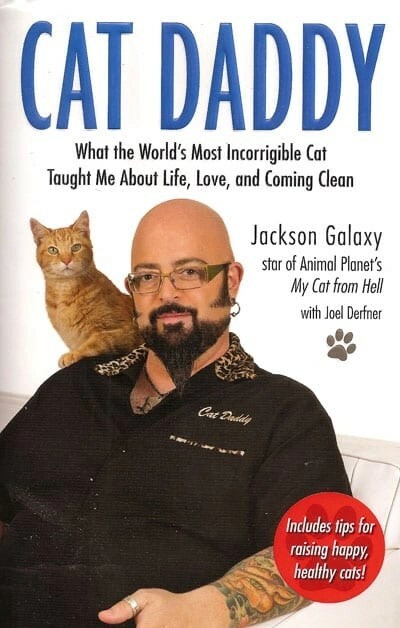 There’s no doubt Jackson Galaxy is doing oodles more than being a Hollywood star. He’s helping cats. And that’s what we all need to do. What do you think of Jackson’s book, series, and special connection with cats. Please share your thoughts and weigh in on the discussion. He sure does. I’d like to find out how to deal with the older kitty syndrome of how to stop the other cats from being so mean to their fellow felines when they get older.